2017-P Cents are special, but not THAT special! Sometimes, I do not understand collectors and the speculation market. I had read a few stories about the one-year-only 2017-P Lincoln cent selling for high multiples online. I had to check it out for myself. 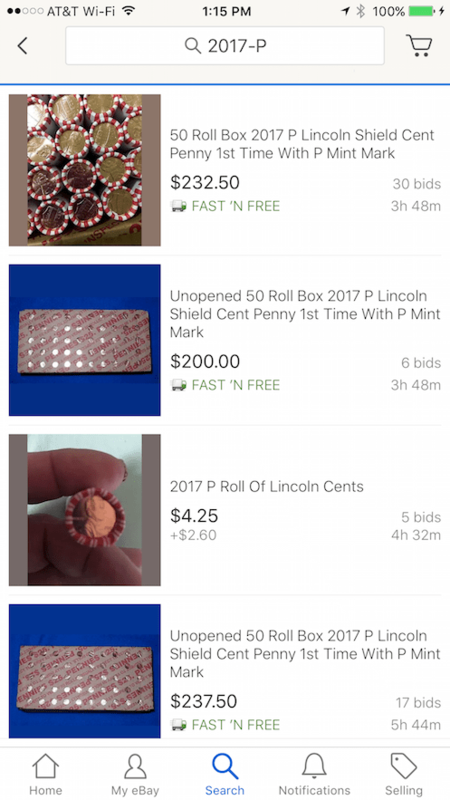 What I found are rolls of uncirculated Lincoln cent selling for upward of 20-times face value! Since the U.S. Mint did not announce that they would be adding the “P” mintmark to the one-cent coin as a one year issue, there has been a frenzy of interest. It seems to the point of overpaying for a coin that is really not worth more than its face value! These are business strike coins, struck for circulation. They are the coins ordered by the Federal Reserve to satisfy the nation’s commerce. Although they have a mintmark “P,” the U.S. Mint will strike billions of these coins. In 2016, the Philadelphia mint struck over 4 billion one cent coins—4,698,000,000 to be exact. According to the U.S. Mint production figures, 515,200,000 of the 2017-P Lincoln Cents were struck. Extended out over 12 months, that means the U.S. Mint will strike over 6 BILLION of these coins. 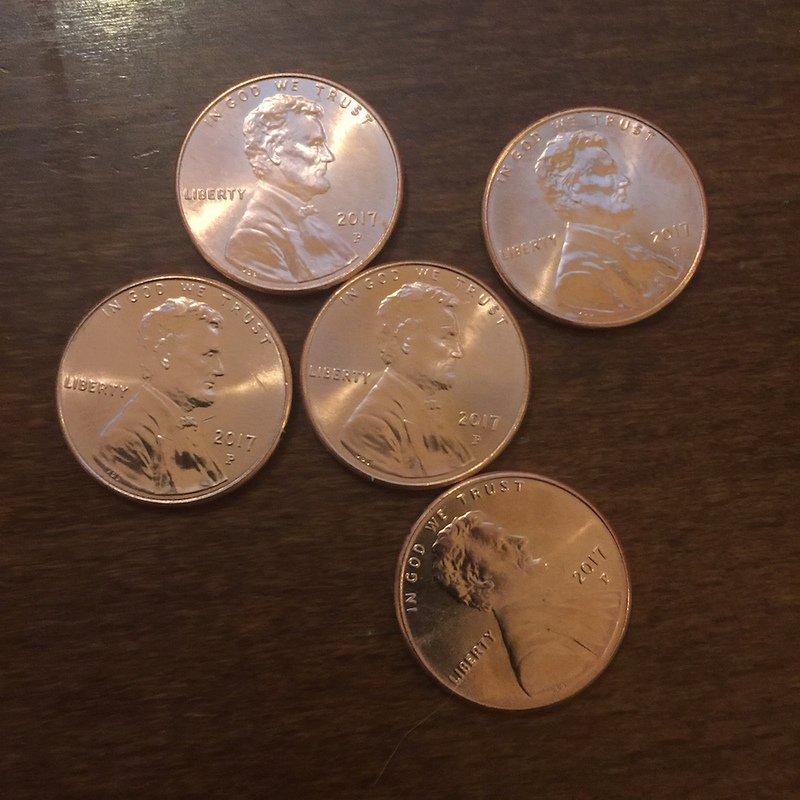 Before typing this blog post, I checked my pocket change to see how many I had. Since I empty the change from my pocket daily, I found five coins just from my daily travels on Saturday. This is an unfortunate state of society. The collective ADD and instant satisfaction will have people spending more than they should only to be disappointed later when the coins are not worth more than face value. It will be like those who bought 50 State Quarters on the home shopping channels only to later realize they would be lucky if they could recover half of what they paid. I understand that online sellers are trying to satisfy the market. Capitalism at its most greedy. But it is not good for the hobby. Maybe it is time for the American Numismatic Association and Professional Numismatic Guild to issue a statement warning the public. If these organizations are about protecting the collector, here is a clear case of price gouging that they should show concern!